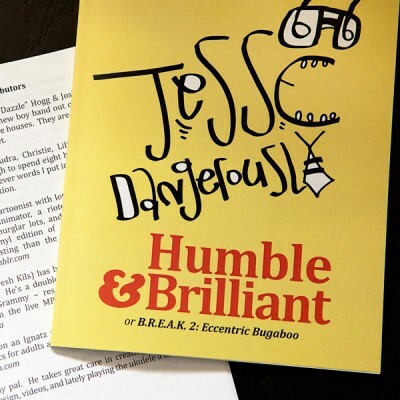 Humble & Brilliant is the name of Jesse D’s 6th album and his first book. The book contains all lyrics from the album as well as recording information, a list of contributors, a list of referenced works and an index of topics. With forward from Richard Terfry a.k.a Buck65. Super nerdy and awesome and very helpful in dissecting his intricate raps.